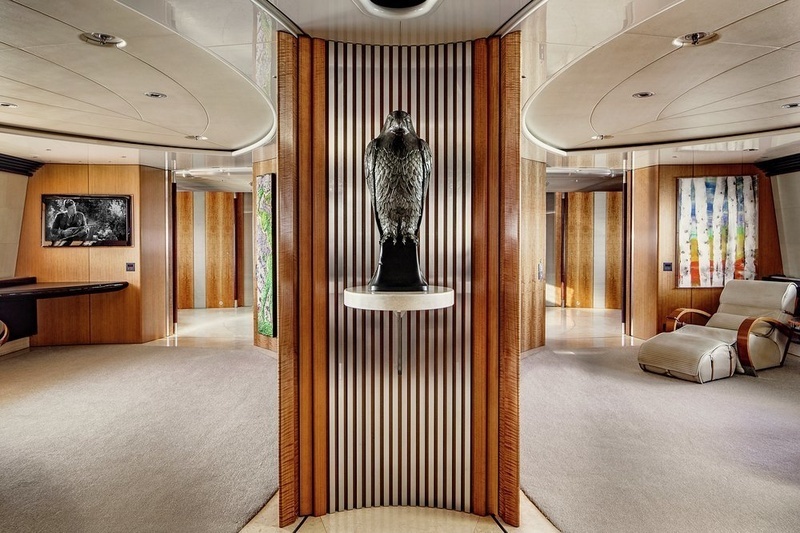 For so long the yachting world’s best kept secret; today’s Maltese Falcon, refurbished extensively in 2016, is the eccentrically recognisable vessel igniting new meaning to the word ‘futuristic’. 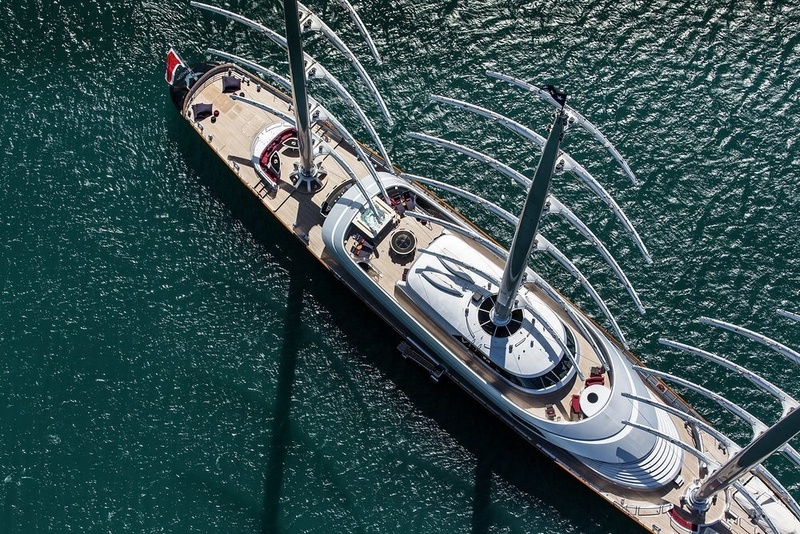 Breaking all the conventions of a sailing yacht; the remarkable exterior marries animalistic ardour with a monstrous 88m structure to match. Owed to revolutionary DynaRig masts, it is no surprise the awards confettied by industry critics applaud the aggressive lines of Ken Freivokh. 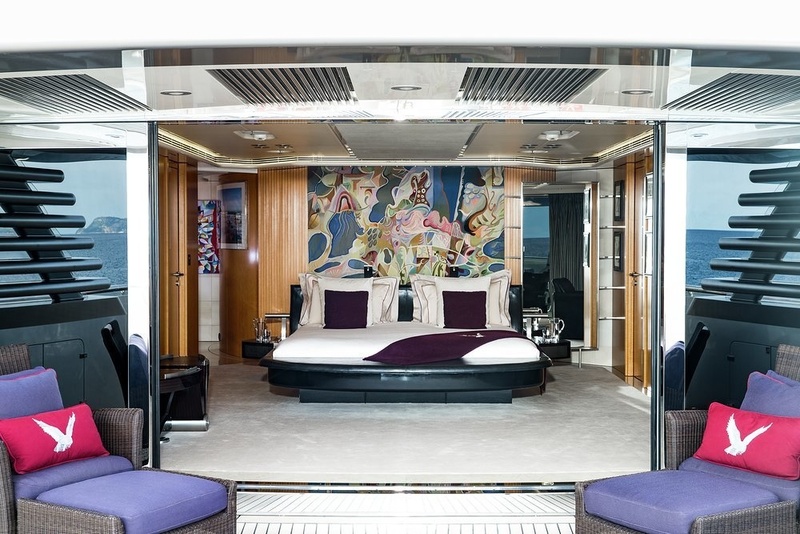 However on board, the designer tells an entirely different story. 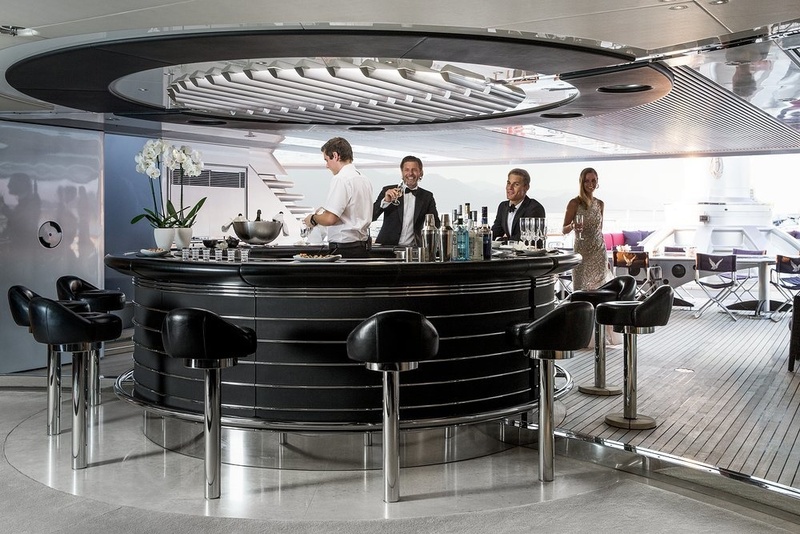 Gentle and inviting and equally as world-renowned, her interior transcends charter guests into a fusion of contemporary elegance and cutting-edge innovation, welcoming martini clinking anecdotes from plush technicolour bars and cappuccino coloured living space. Each dimension is a charter space owed to a purpose. For starlit premieres? 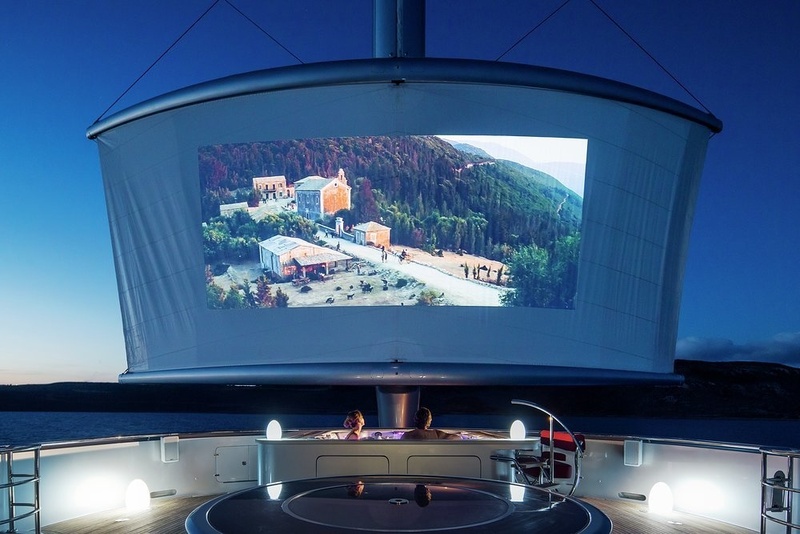 The beachclub turn luxury outdoor cinema tips guests into the Caribbean coves by winter, and the sun-drenched coasts of the Mediterranean by summer. In the case you had any doubts, he is indeed the very largest of cinema spaces, enjoyed best by deckchair or Jacuzzi. 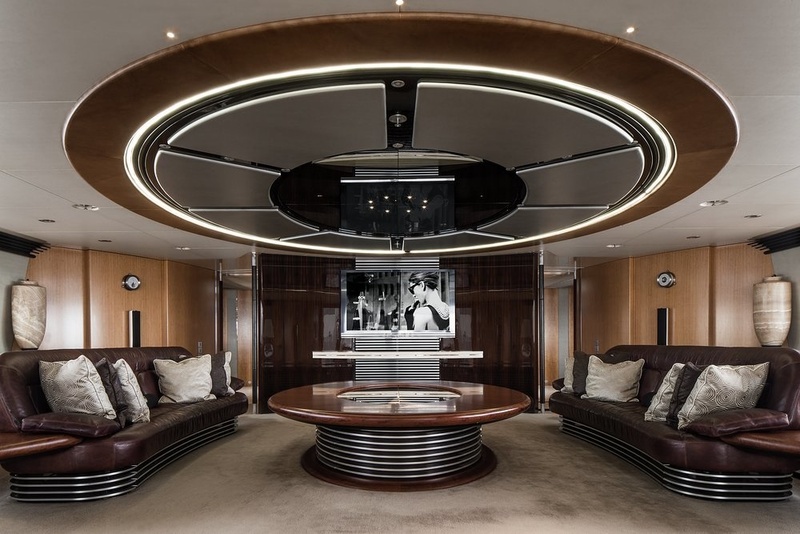 Into the sumptuous living space, the owner’s own collection of contemporary artwork, vamps the traditional furnishings whether in the dedicated reading room or luxurious guest cabin. A canvas by Squeak Carnwath best exemplifies this, awakening traditionalism with a welcomed dash of the contemporary, offering charter guests both an artistic experience as well as ocean voyage. 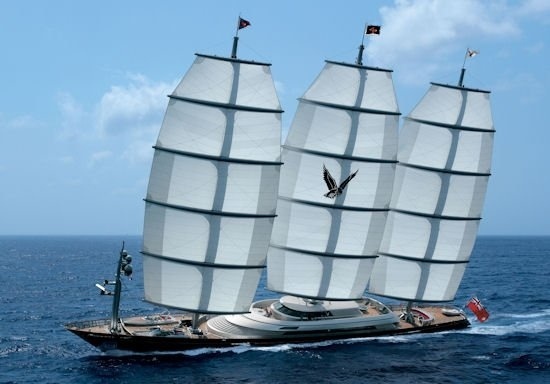 However, elsewhere, Maltese Falcon rips out the rulebook. 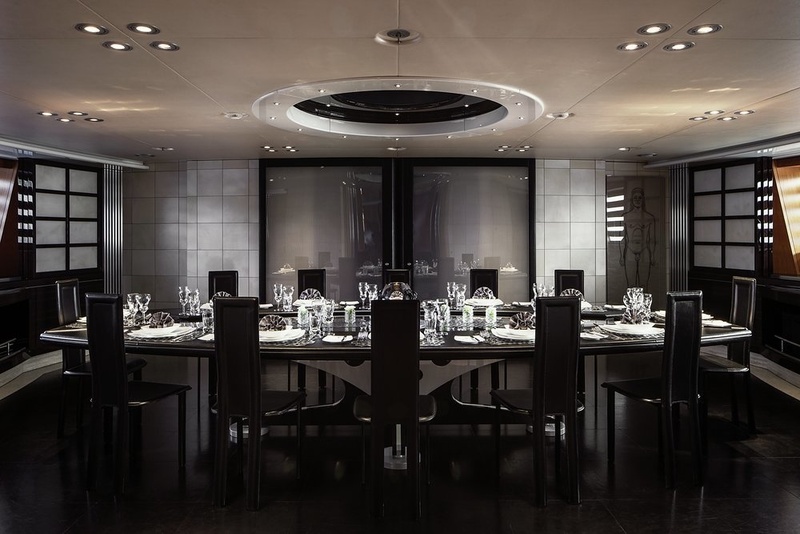 The atrium boasts a galaxy of its own with sweeping silhouettes coupled with glam-glow lighting. A step into the saloon, moody mocha tones and rich sultry textures couple with punchy purples and cherry reds, offering a vibrant aesthetic at play. When not residing into his artisan realm, guests can waterski, flyboard or take advantage of the RYA training centre for personal watercrafting across lush island terrain. 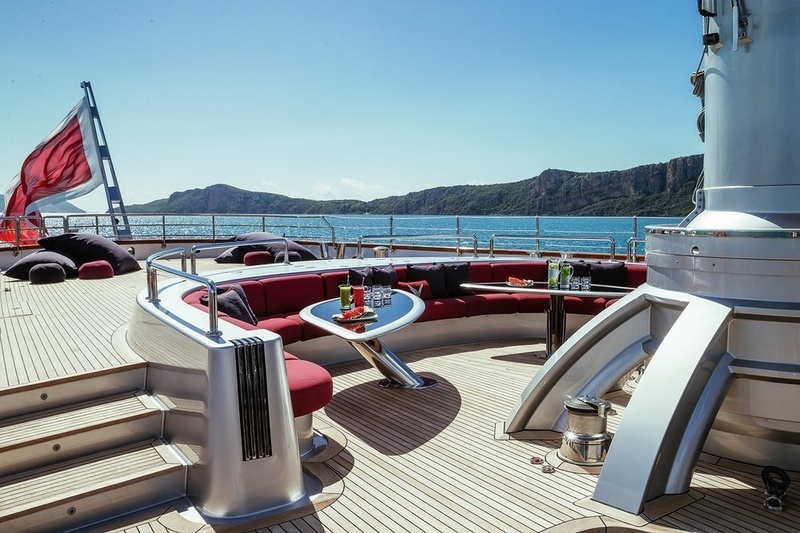 Alternatively, reside into serenity with an on-board massage as the sailing stallion makes its way through ocean passage and you relax awaiting your next destination. 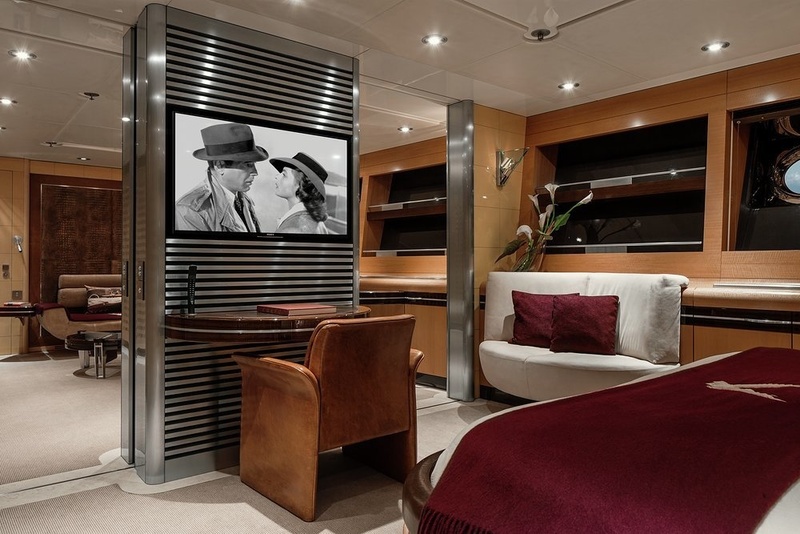 With 12 guests across 6 luxurious cabins, this lifestyle-driven sail choice sets itself apart as a colossal sail contender for your forever after charter memories. 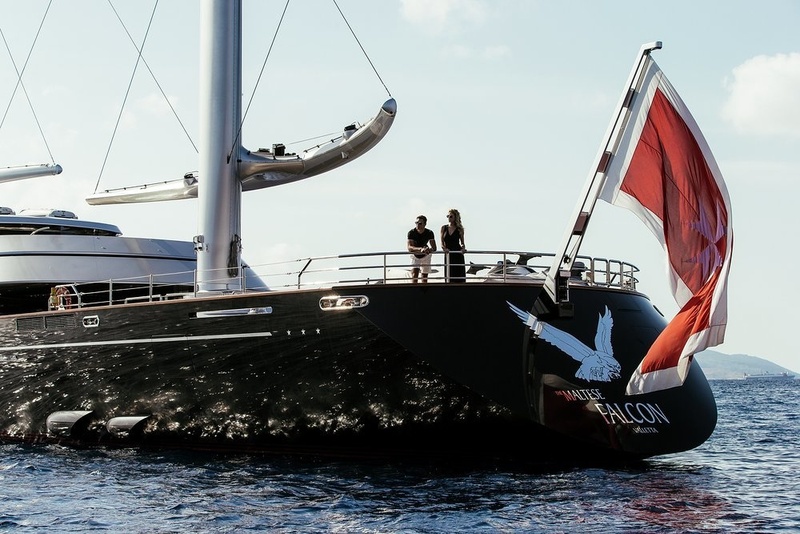 Maltese Falcon is available to charter with Burgess Yachts in the Mediterranean in the summer season, and the Caribbean in the winter season.